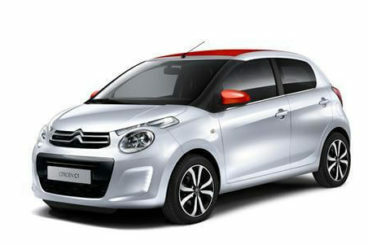 Looking for an objective review of the new Citroen C1 Hatchback? OSV has got you covered from engines to lease deals. 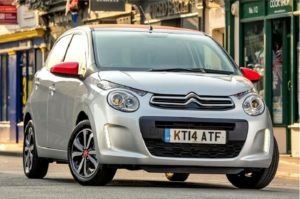 The new Citroen C1 Hatchback is a smart-looking city car that’s ideal for young drivers who are on the lookout for a stylish car on a budget. It’s cheap to run, comes stuffed with lots of equipment, and has a cool full-length fabric roof option for extra funk. This is actually the littlest car in Citroen’s range. It’s cute, easy to park and manoeuvre, and can be bought with either three doors or five. The competition in this sector is tough, though, and plenty of rivals can offer similarly quirky-looking city cars. Check out our comparison section below to see how it stacks up against its rivals. OSV takes a closer look at what it’s all about with our Citroen C1 review. The best car to drive in the city car class at the moment is the Hyundai i10. The C1 is not quite there, but it’s a competent enough performer that’s got plenty to offer on the road. But let’s start with a criticism. It’s a tad disappointing that Citroen have again used the same underpinnings as last time around, which means there is still too much body lean when you take a corner. The C1 is never going to be the most entertaining city car until the French brand sort this out. Light steering also makes it difficult to tackle bends with gaiety, although it does come in handy when you’re negotiating tight turns in the city. potter about. It’s slightly underwhelming and takes 14.3 seconds to do the 0-62 dash. It’s also not the best at keeping up with the traffic. On the motorway, you just want to tell it to stop humming. The 1.2-litre engine is more expensive but an all-round better bet. It’s got a bit more shove, it’s quieter, and it can get you from rest to 62mph in just 11.0 seconds. Its pace proves handy when you want to skip the queues, and it’s got your back when you want to overtake a slow-poke on the motorway. The C1 comes with a manual gearbox as standard, but you can choose the automated manual ‘box if you prefer. However, we recommend that you stick to the manual, as the automated transmission is clunky, jerky and actually slows the car down. If you compare this car to rivals, its interior doesn’t stand the test. There just isn’t as much quality inside the C1 Hatchback as there is in, say, the Hyundai i10. Cheap plastics are easy to spot and unpleasant on the eye, and they also seem less sturdy than you’d like. It can be easy to get comfortable in the car if you opt for the right model. 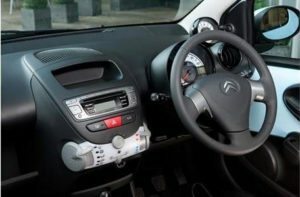 For example, the entry-level Citroen C1 does without a height-adjustable driver’s seat, which could prove to be a bit of a hassle on longer journeys. Still, the soft suspension is a plus, and the C1 does a good job of soaking up poorer road surfaces so that you don’t feel too much discomfort. Refinement is still weak, though. It’s better than last time, but still far from class-leading. The C1 is largely aimed at young, first-time buyers. As well as jazzing up the exterior, they have also coloured the dash. It looks funky enough and will appeal to lots of buyers on the lookout for something trendy, but overall quality is not on the same level as the Skoda CitiGo. You can’t expect a small city car to be too practical, but the C1 falls short of standards set in this class. The 196-litre boot might be bigger than last time, but it’s still miles off the class-leaders. There is also no false floor, although a wide boot opening is a positive. There is a good amount of space upfront – in fact, on this point the C1 can competently rival its competitors. However, it’s a different story in the rear, where adults will be cramped for room. And although the pop-out windows look good, nobody in the back seats will be appreciating how great they look to the pedestrians while the suffer inside with claustrophobia! For more airiness, opt for the Airscape model which comes with a full-length retractable roof. Standard equipment across the range is decent, with the entry-level model getting electric windows, remote central locking, as well as a 2-speaker MP3 stereo. The Feel model is a bit more expensive and gets a height-adjustable driver’s seat for more comfort, a stereo with four speakers, as well as air conditioning and a neat 7” touchscreen that comes with a mirroring feature. The Furio model is new, and has sportier pretensions. It gets 15” alloys, red door mirrors, exterior graphics, a centred exhaust, as well as a choice of more body colours, including grey metallic. The Flair model adds body-coloured door mirrors, tinted rear windows and lashings of chrome. You also get a rear-view parking camera. As mentioned, the range-topping Airscape model gets the retractable roof which is perfect for hot summer days. Prices for the new car start out from £8,500 and rise to £12,500. Citroen knew they needed to make their car as cheap to run as possible if it was to succeed in this competitive sector. Two small petrol engines have helped to that end, however the cheapest model to run in the range is the VTi 68, which can achieve average fuel economy returns of 68.8mpg. It’s also free from road tax – as are all the C1 models. The 1.2-litre 81bhp petrol engine is a better all-rounder, and fuel economy returns of 65.7mpg are impressive. If you prefer the look of the 1.0-litre engine, we recommend refraining from pairing it up with the automatic transmission as this will bump up fuel costs. You want small cars like this to be easy to drive, and the C1 offers a much-improved driving experience. Fancy skipping the traffic? Lively acceleration gives you plenty of confidence to overtake. Not super super dirt dirt cheap – but reasonably priced for new drivers or anyone operating on a budget. You can only get the automated manual gearbox with the cheapest variant, but we suggest that save your pennies and stick to the manual box. Without a clutch pedal, the automated option is too jerky and clunky. It also affects performance. Okay, so you’re never going to get a massive boot in this class. But if luggage space is a priority of yours, there are bigger boots out there than the 196-litre one here. Let’s see how the car fares against its rivals in the comparison section of our Citroen C1 Hatchback review. 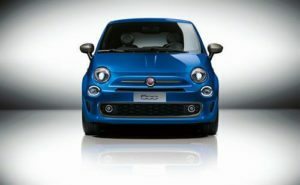 The new Fiat 500 Hatchback is easily the trendiest car in this class. It’s small, retro and a bundle of fun. In the city, the 500 Hatchback is right at home. Although the MINI edges it for out and out entreatment, the 500 still offers a very joyful driving experience that makes the morning commute to work a bit less painful. It’s easy to park and manoeuvre, thanks to its small dimensions and big windows, and it can skip through traffic and pop through gaps with ease. The best engine if you’re to be spending most of your time in the city is a TwinAir twin-cylinder turbo petrol engine that extracts a good amount of power from down low and emits a pleasant hum that encourages you to keep going. It’s available in either 84 or 104bhp guise, and can do the rest to 62mph sprint in just 10.0 seconds in its most powerful form. A 1.3-litre MultiJet diesel engine is also available. It can get you from a standstill to 62mph in 10.7 seconds before maxing out at 112mph, but makes a rattly noise that doesn’t suit this car’s trendy city car nature. If you’re a high mileage driver who’ll be spending most of your time on longer treks, however, it makes much more sense. With that said, the 500 is not the ideal motorway companion. For that, there are better cars on offer. Check out website for more info. In terms of running costs, the 500 is an ideal budget car. The diesel engine is the cheapest to run, averaging fuel economy returns of 83.1mpg. It’s also free from road tax, but as mentioned, it’s really only an engine for high mileage drivers. The smaller 1.2-litre petrol engine is a thirsty old thing, but the TwinAir petrol engine can return fuel economy of 74.3mpg in its least powerful guise. The 2017 Fiat 500 is funky and retro, both inside and out. Its image evokes memories of the classic 500 from the fifties, but Fiat have made sure to keep things nice and modern too. The soft seats offer plenty of comfort, the fabrics are classy, and the dash is nicely laid out. But while the gloss finish looks impressive at first sight, it can show signs of scratching over time. The Fiat 500 is bursting with character, but part of the reason for that is the fact that it’s got three doors. While this makes it look cute, it doesn’t help with practicality. Visibility is good, and four adults should be able to sit in reasonable comfort. But access won’t be easy, while there is no room (or seatbelt) for a fifth passenger. Interior storage is weak, with Fiat preferring to maximise passenger room as much as possible. The boot measures 185-litres, which is marginally smaller than the C1’s. 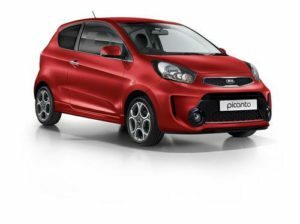 The new Kia Picanto Hatchback is an eager, handsome city car that boasts a huge amount of standard kit and lots of space. The Picanto isn’t the most exciting small car to drive around, but it feels very assured and grown up. It’s cheap to buy and run, and can get you from A to B without any hassle at all. It’s a chirpy, a feel good little car. It’s worth overlooking the tiniest entry level engine and testing the 1.25-litre petrol engine instead. It may not be as cheap to run as the entry level unit, but it promises more performance and shove. It can do 0-62mph in 11.5 seconds, and is great at skipping through gaps to beat the traffic. It’s paired up with a 5-speed manual gearbox as standard, but you can opt for a 4-speed automatic transmission if you wish. However, we suggest that you stick to the manual ‘box, as its shifts better and will save you money at the pumps thanks to their being equipped with stop-start technology. Speaking of fuel, there are no diesel engines in the range to really keep the costs down. However, the Kia Picanto Hatchback is still cheap to run, with all the engines returning fuel economy better than 60mpg. The interior is well-built and easy on the eye, while the amount of standard kit on offer really is incredible. It includes air conditioning, front electric windows, Bluetooth connection, remote central locking and useful 60:40 split-folding rear seats. It’s a small car, but the Picanto still manages to be super usable. Unlike many of its rivals, it can seat five adults in relative comfort. Head and legroom is good enough, while the boot measures 200-litres. You can fold down the rear seats to extend that to 870-litres. Like the Fiat 500, the new C1 looks great and makes a fab first impression. Beyond that, there is much to like about this quirky city car. You can choose from a number of colours and trims to personalise it so that it’s very “you”, while standard kit is excellent. It also drives well, is cheap to run, and is as chic as city cars come in 2017. The new Citroen C1 Hatchback might not be the best all-rounder you’ll ever buy, but we can bet it’ll be one of the most easygoing and feel good ones.